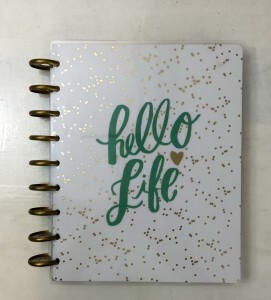 I was browsing in Michael’s when I spotting this big beautiful Happy Planner! 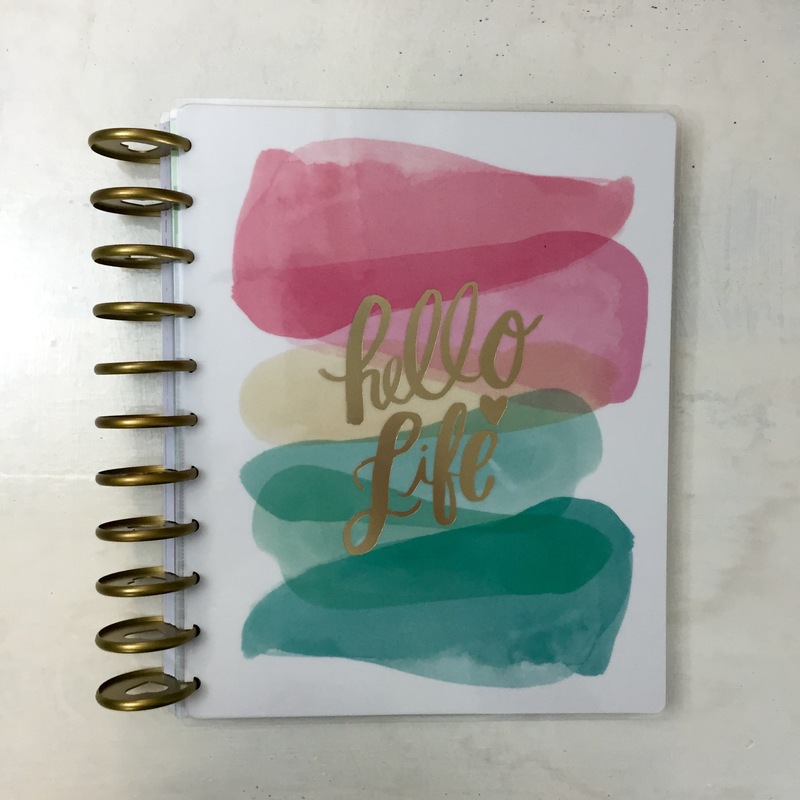 At first I walked away because I don’t need another planner. I don’t even use the planners I have now as planners, I use them as journals. Eventually, however, I did go back and buy the big beautiful Happy Planner and a couple days later I bought another smaller one too. I didn’t realize when I bought the smaller one that it had the same title on the cover as the big one. 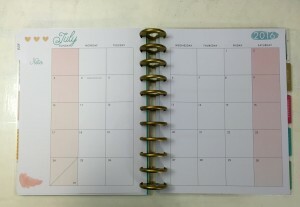 There was only one option at the store for the large planner, but there were several options for the small planner I just happened to pick the same one. 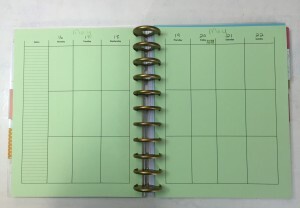 This type of planner will to take some getting used to because these planners have a vertical layout which is different from any planner if used before. Also the weeks in these planners are set up from Monday to Sunday which, again, is different for me. 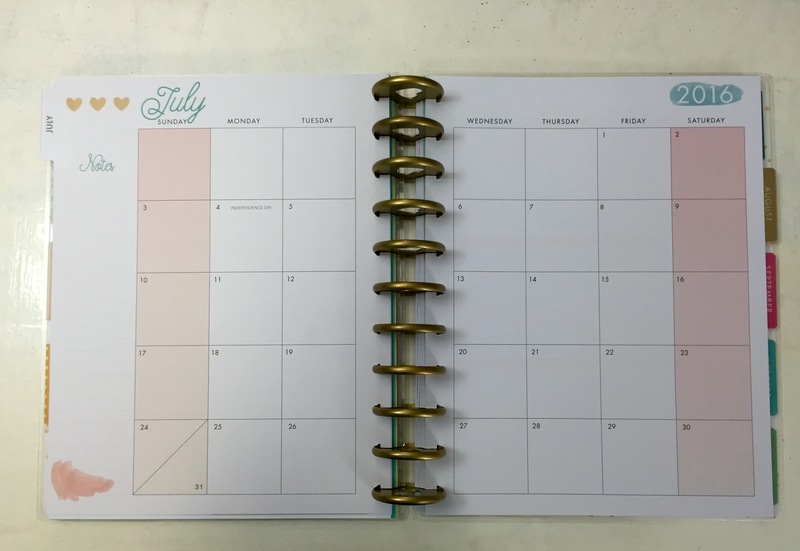 It’s April now, but the pages in the planner don’t start until July so I made some pages in the vertical Monday-Sunday style layout for the months leading up to July. 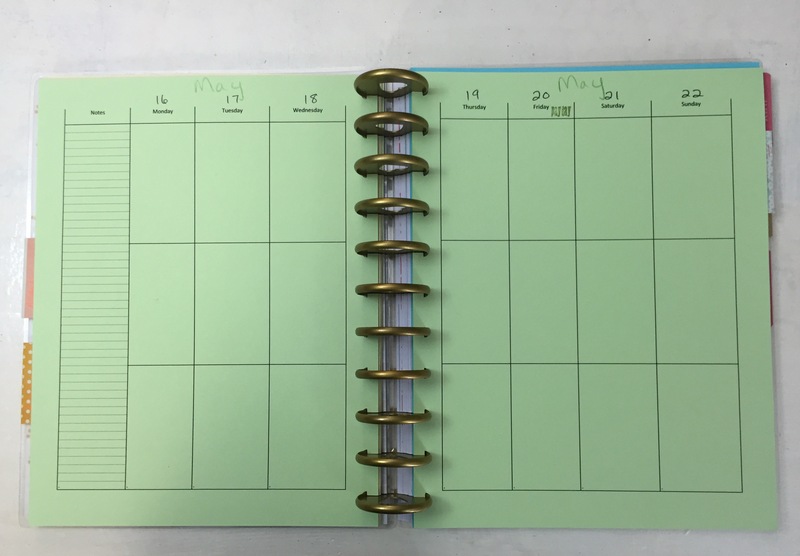 I made the pages using a spread sheet and printed them on some cardstock I had on hand. My printed pages aren’t exactly like the pretty ones that come with the planner, but they’re close and they will give me a chance to find my style working with this new layout before I get to planning with the pretty pages.